My friend and I were discussing having a craft night, and one of the projects she brought up was candle making. Hmmm, never attempted it before! But being the true self-taught DIY’er that I am, I set out to google and youtube the crap out of it, until I can figure it out! I love using scented candles in our place, and whenever guests come over they always comment on how nice our place smells, so this would definitely be useful for me. On top of that, large candles are expensive! I can spend hours in the candle aisle of a home decor store just sniffing all the different ones…. So making my own could be economical AND useful! The majority of tutorials I ran across were “traditional” candle making, involving wax, double boiling, and all other kinds of steps I wasn’t too excited about. 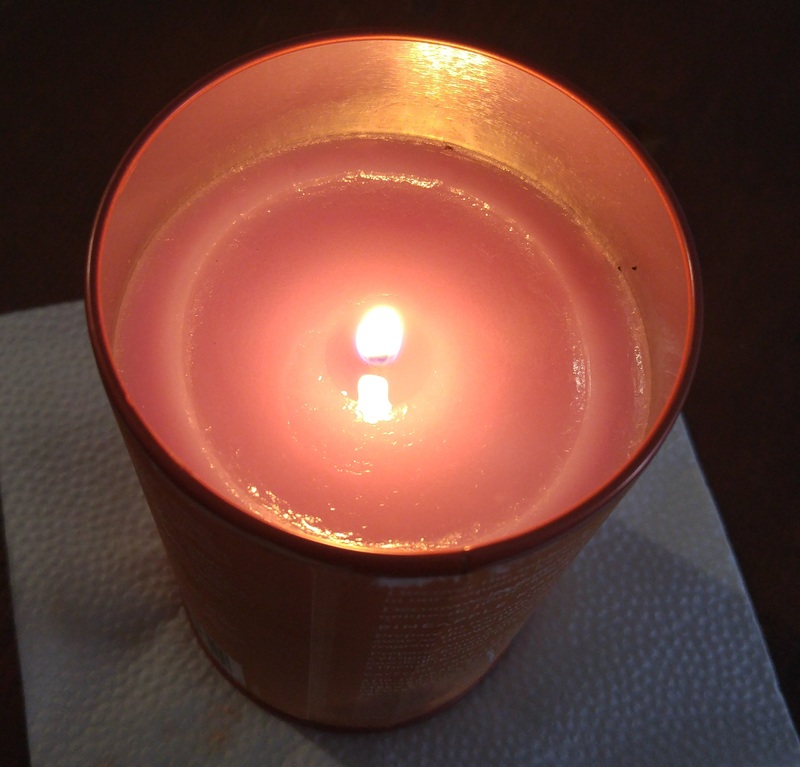 Enter the “Crisco Candle“. Haha you read that right! 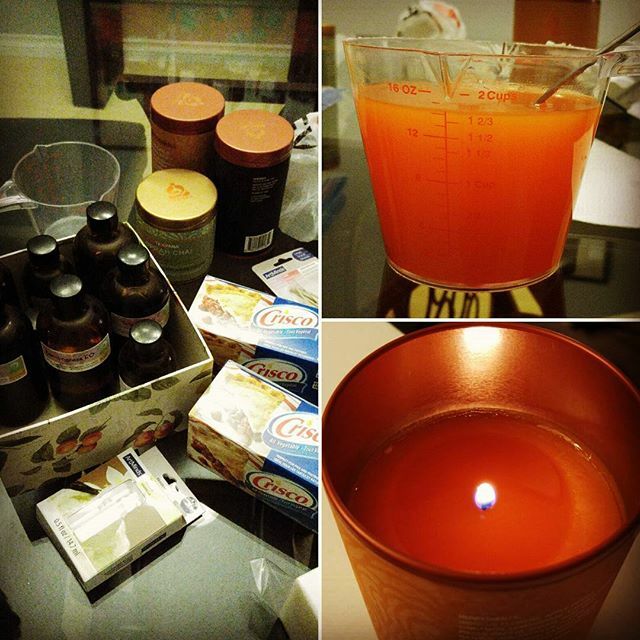 I found a bunch of tutorials showing how a tub of Crisco could be used as an emergency candle in case of a power outage, but also a few brave souls who have melted the Crisco into their own scented and colorful candle creations! I decided that if I’m going to attempt this, the cheap and easy route is the way to go! Sorry, THRIFTY, not cheap! The steps were easy enough to follow- microwave a bunch of Crisco until its melted, add oils for scent, and bits of crayon for color. Pour into heat-safe vessel with a wick, and voila! The Crisco itself was fairly affordable, about $2.50 for a brick pictured above. about 80% of one brick was enough to make one candle. A pack of crayons was $1 at the dollar store. I already had a bunch of essential oils from previous projects (hello, soap-making!). For containers, I re-used tea tins! I made one orange colored candle, scented with tangerine and lemongrass essential oils, and one purple candle, scented with vanilla and peppermint oils.